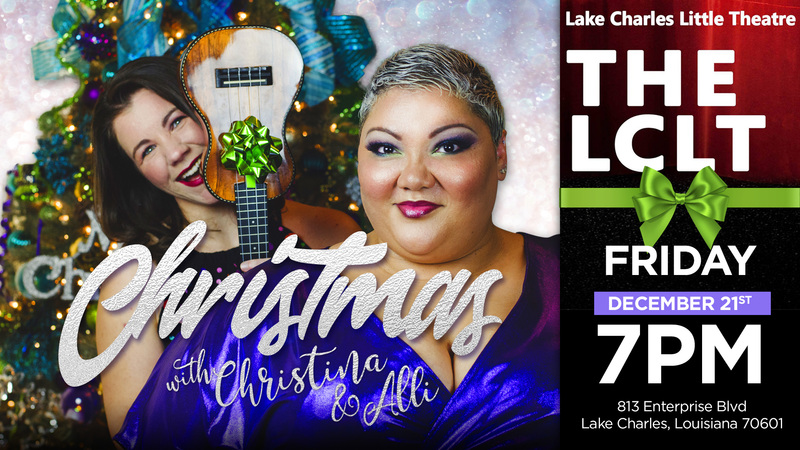 See America’s Got Talent Semifinalist, Christina Wells and Lake Charles native, Alli Villines in concert this holiday season! Featuring a selection of songs from their latest album, “Christmas with Christina and Alli”, as well as from Christina’s debut EP, “Sing Christina”. Come as you are for an evening of entertainment, as Christina & Alli takes you on a journey through Christmas past and present in story and song. Celebrate the season in style and come deck the halls with this delicious duo!